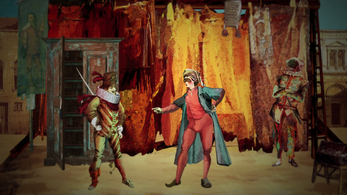 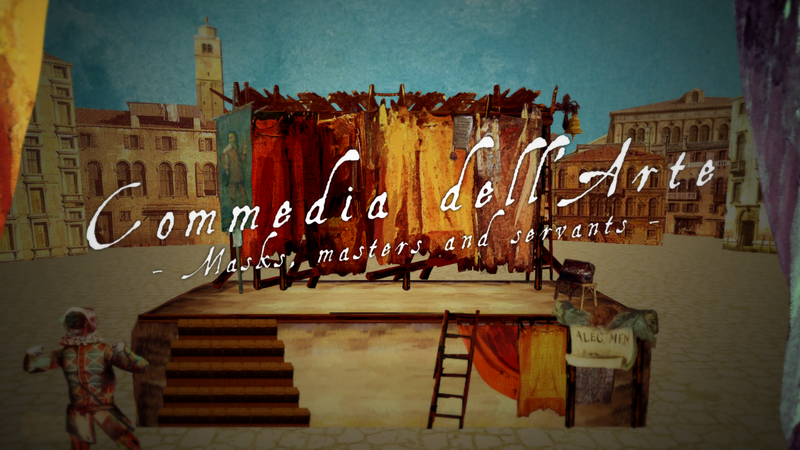 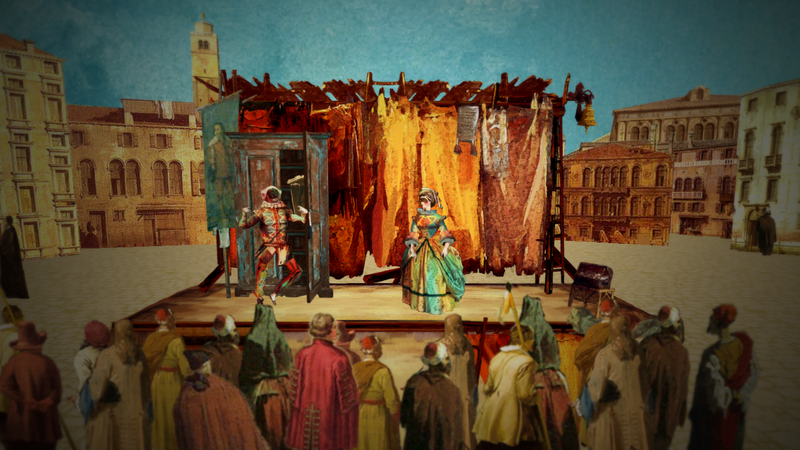 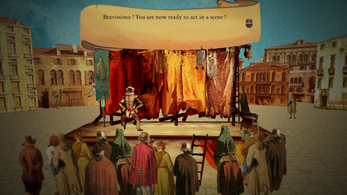 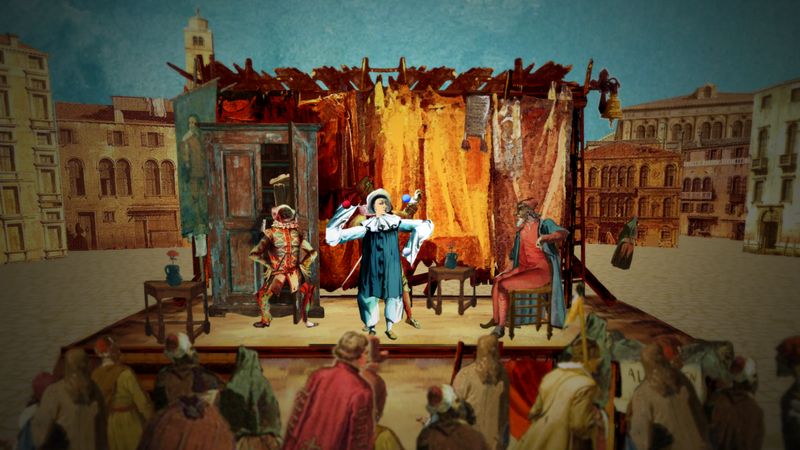 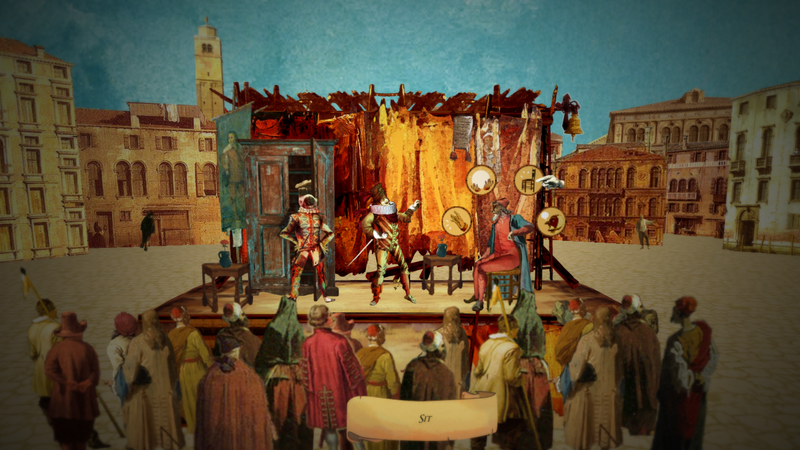 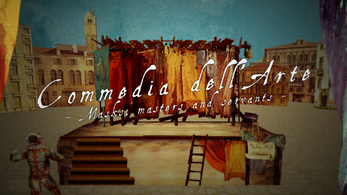 Commedia dell'Arte is a humorous graphic adventure experience (10min) for PC Windows, Mac OS X and Linux about theater and improvisation. 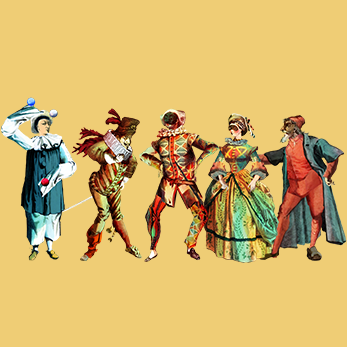 Dive into the skin of a young comedian of the XVIIth century, newcomer in an Italian street theatre troupe, embodying the valet Arlecchino in various burlesque situations! 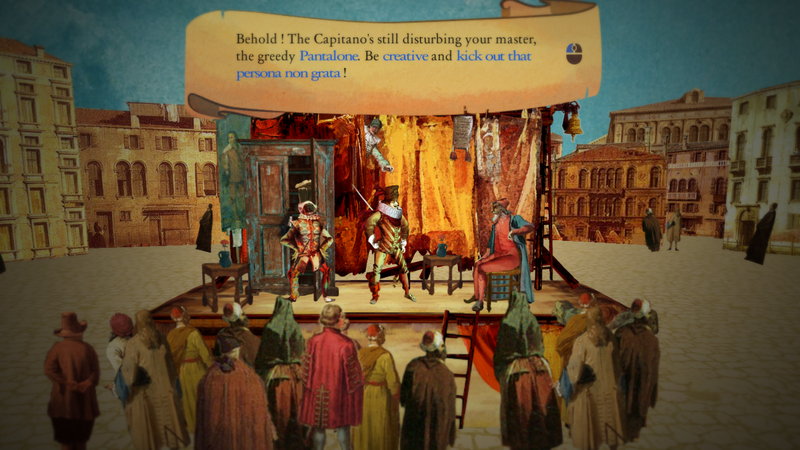 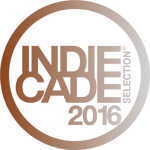 Influence the storyline, and entertain the audience. 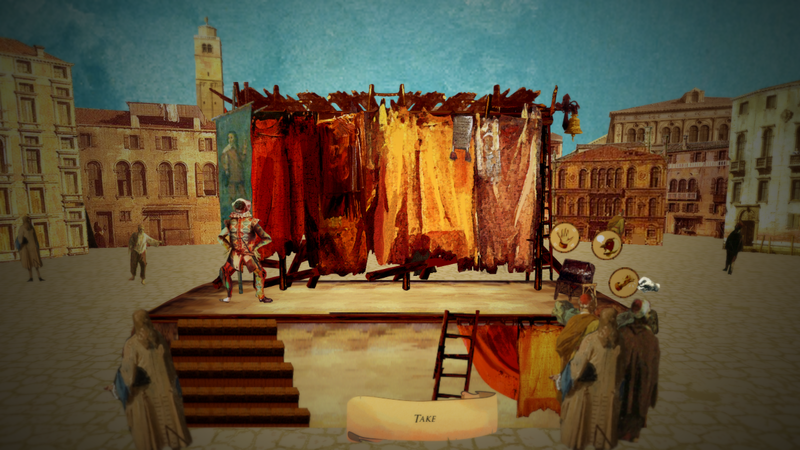 Interact with various characters and objects, and choose wisely your playing intentions to lead your troupe on the road of success! 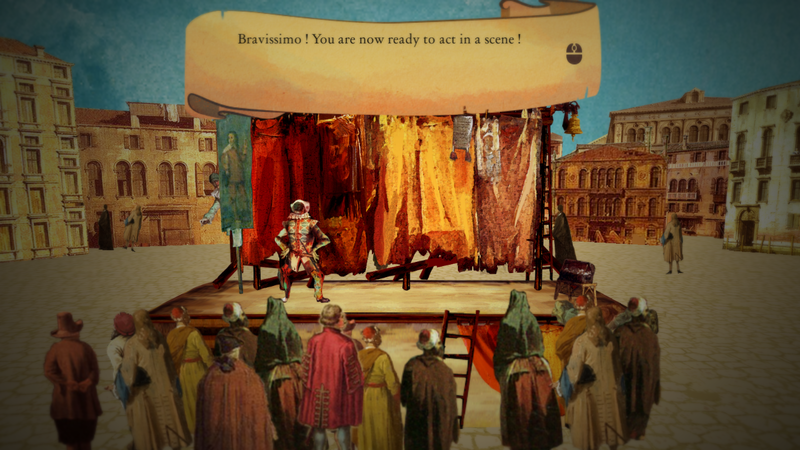 A burlesque immersion in a still rare thematic in games: stage acting! 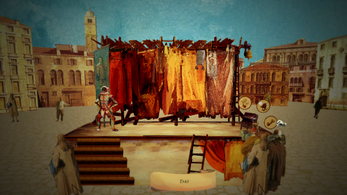 An accessible game with a point-and-click inspired gameplay! 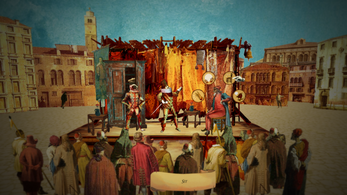 A colorful artistic direction inspired by cut-out animation! Many hilarious interactions and animations to discover! 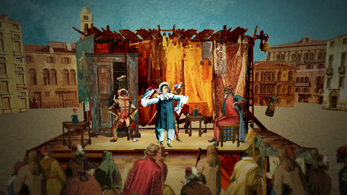 With the vocal participation of (in order of appearance): Eloi Duclercq (Arlecchino), Rémi Fusade (Mentor Comedian), Brahim Berkati (The Capitano), Maxime Lidolff (Pantalone), and Alisée Preud'homme (Colombina).